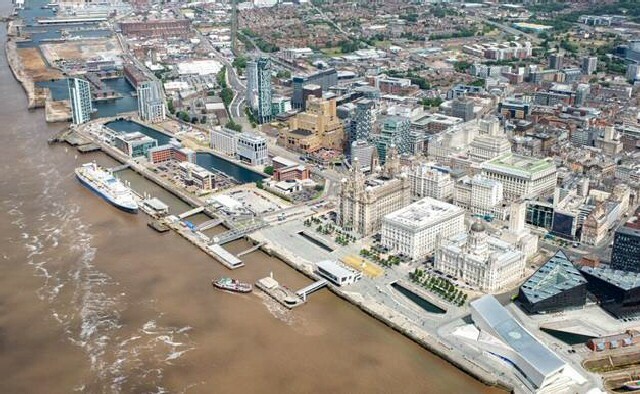 THIS week, both private and public sector leaders from across the Liverpool City Region have met for the 1st time as part of a new group that aims to safeguard the Region's business interests as the UK leaves the EU. The Liverpool City Region (LCR) Brexit Council has been driven by the Local Enterprise Partnership (LEP) and is chaired by the LEP's chair Asif Hamid MBE. Asif Hamid, chair of the Brexit Council, said:- "The Brexit Council has been a massively positive step by the business community in Liverpool. There's a real need for us to work together to consider the opportunities as well as any risks that leaving the EU will present. We are moving into a period of considerable unknowns but by sharing our information and insight from across sectors as early as possible we will be able to offer timely co-ordinated responses to local and national Government on the City Region's situation. We've shown time and time again in the Region that we are strongest when we collaborate. The coming months and years will be a chance for us to prove that again." The group will work to ensure the Region's economic resilience, including supporting local businesses, as the UK prepares to leave and finally exits the EU. It will also offer co-ordinated responses to Local and National Government on how the City Region is progressing and any challenges it faces. ► Tony Reeves, Chief Eexecutive, Liverpool City Council. ► Mark Basnett, Managing Director, LEP. ► Frank Rogers, acting Chief Eexecutive, LCR Combined Authority. ► Mark Bousfield, Director of Commercial Development and Investment, LCR Combined Authority. ► Kath Boullen, Chief Eexecutive, St Helens Chamber. ► Phil McCabe, Development Manager, Federation of Small Businesses. ► Lynn Collins, Regional secretary, TUC. ► Prof Dame Janet Beer, Vice Chancellor, University of Liverpool. ► Elaine Bowker, Principal and Chief Eexecutive, The City of Liverpool College Group. ► Mark Whitworth, Chief Executive, Peel Ports Group. ► Stuart Lord, Director of Operations, Jaguar Land Rover. ► Mike Hulme, Managing Director, Trains and Modernization, Alstom. ► Rob Carden, Assistant Chief Constable, Merseyside Police. ► Dr Liz Mear, Chief Eexecutive, Innovation Agency. ► Mike Gibney, Director of Workforce and Innovation, The Walton Centre. ► Jon Hague, Vice President Operations and Open Innovation, Unilever. ► Tom Carter, Area Director Corporate Banking, HSBC. ► Frank McKenna, Chief Eexecutive, Downtown in Business. The group will meet regularly as the Brexit deadline approaches and will continue to meet once the UK leaves the EU. Tony Reeves, Chief Eexecutive of Liverpool City Council, who is working closely with the Government as the Regional Brexit lead for the North West, said:- "Liverpool City Council supports the move by the LEP to establish the Brexit Council which is another example of the forward thinking that characterises the City's business community. Our growth in the City Region for the last 20 years has been down to our willingness to work together. Having a forum that brings together this wealth of expertise from the public and private sectors will help us be proactive and well placed to respond to the challenges facing local business whilst building economic resilience across supply chains and the labour market." 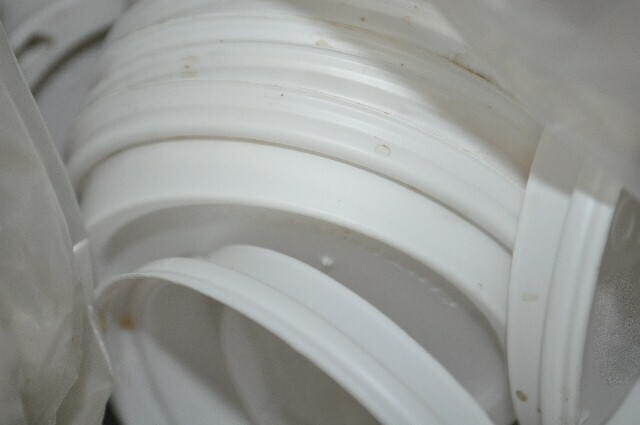 39% of the North West have stopped using plastic cups and straws to be more eco-friendly, a study shows. 92% of people in North West have made lifestyle changes for the planet. 72% are concerned about their carbon footprint 78% consider the environment when they make any purchases or lifestyle choices. 57% of those surveyed in North West said they were motivated equally to make lifestyle changes that saved them money or the planet. 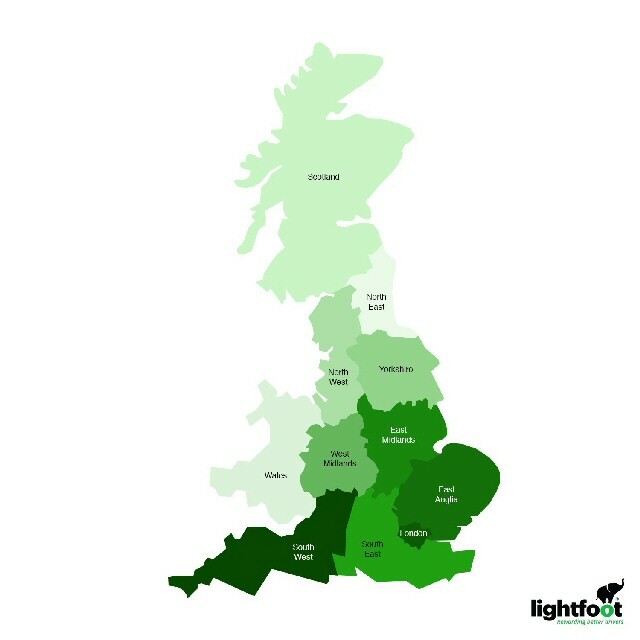 In a green map of Britain the independent research commissioned by Lightfoot showed that the South West, London and East Anglia have made the most lifestyle changes to benefit the environment. The North West Region ranked 8th in the green map of Britain. The most commonly adopted green practices are recycling (85%) and eliminating plastic (39%). 24% of people in the North West are also making a conscious effort to cut down on their meat consumption for environmental reasons, and 25% have started using a reusable coffee cup. Our driving behaviours play less on our minds, as only 25% of those surveyed in the Region said they try to drive less for the sake of the environment and 28% make an effort to drive better and more smoothly. Mark Roberts, CEO and Founder of LightFoot says:- "The North West is aware of the need for urgent action on climate change but there still seems to be little awareness around driving behaviours. Such a huge proportion of the Region are concerned about their carbon footprint but only 28% make an effort to drive better. This is a fundamental error, as a good driver is up at least 20% more efficient than a bad driver. In the short term, not driving is not an option for everyone. We need to extend our green thinking to our driving style and make a real impact in reducing our emissions through better driving." Did you know that an online survey was conducted by Atomik Research among 2,001 respondents, taking place between the 3 March and 6 March 2019. Also did you know that Atomik Research is an independent creative market research agency that employs MRS certified researchers and abides to MRS code?